The coffee table has crept its way into the common living room by masquerading itself as a boring obligatory item and transforming into a vital piece of furniture that singles and couples — young and old alike — take pleasure in buying. Of course, its main use should always be for admiring a piping hot cup of coffee from afar while lounging on your space-saving couch in your small living room. 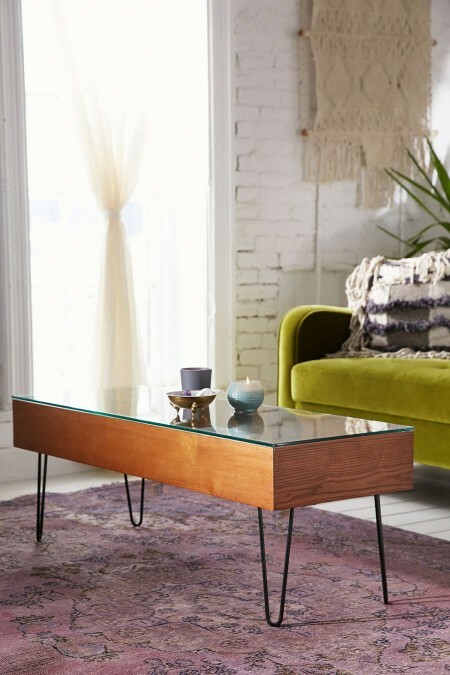 But how do you know what’s the best coffee table for your small space? 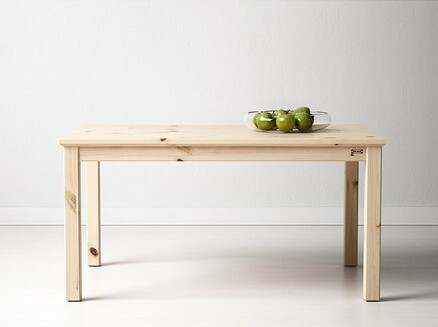 IKEA’s solid pine NORNÄS coffee table is the perfect coffee table for those of you who like to DIY 80% of the way. The box includes all the table’s pieces so while you don’t have to saw or sand any wood, you do have to assemble the table. Also, the pieces come completely untreated, which means it’s basically a canvas that you can paint, stain, oil, cover in cup rings. Or leave as-is for a tastefully simple addition to your living room. Honestly, the Cara Coffee Table probably looks like something that people from the 19th century assumed coffee tables would look like in the future. See the glass-paneled shelf in between the two storage compartments? They put your mind at ease by providing a clear view of what you’ve stowed away so you never have another one of those “where are my keys? !” moments again. 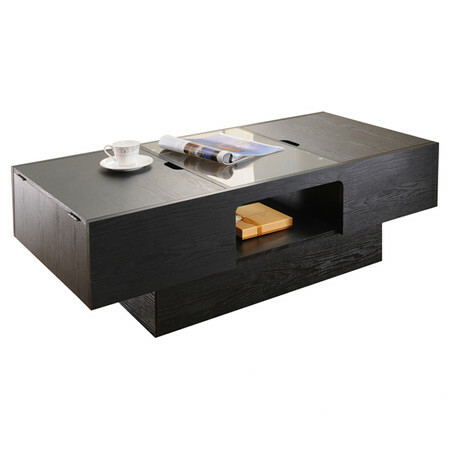 Plus, at only 52 pounds, the Cara Coffee Table is a breeze to move. This sleek ash veneer Gallery Coffee Table wears a glass top that you can easily take off to store books, magazines, records, or whatever else tickles your fancy. The tapered metal wire legs add a modern look. A modern look that’s strong enough to support your tired legs. Your tired legs that are tired from running through your significant other’s mind all day. 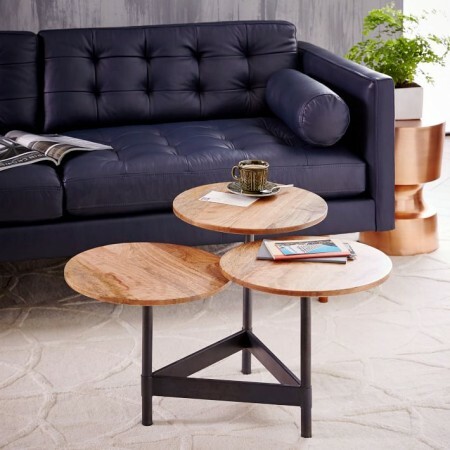 The Tiered Circles Coffee Table from West Elm runs on the more unusual side, but we all know there’s nothing wrong with that. Its three multi-level tiers give you the power to free your your living room from clutter while making a strong, World’s Fair Observation Towers statement. 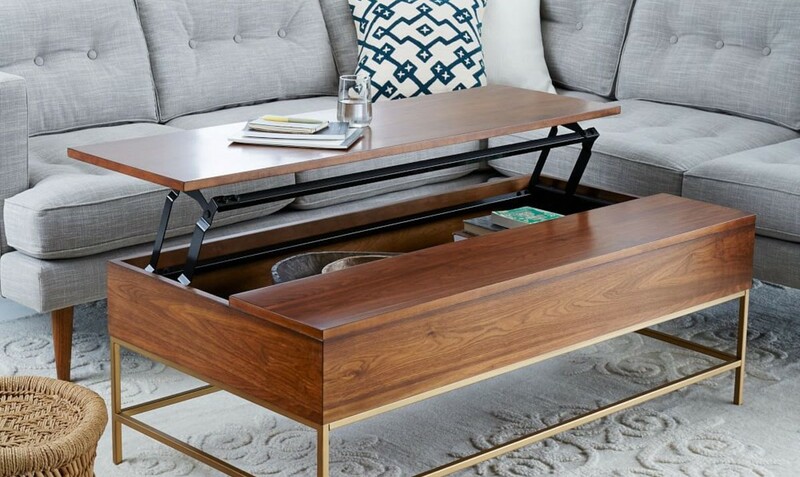 Plus, the additional space that you save thanks to the coffee table’s small frame begs you to experiment with the new space around your couch. *Cough* bar cart. What does this look like to you? If you said “a giant brass peacock,” then congratulations — you can still see clearly out of both your eyes. While technically a side table, this thing is just too unique to pass up. 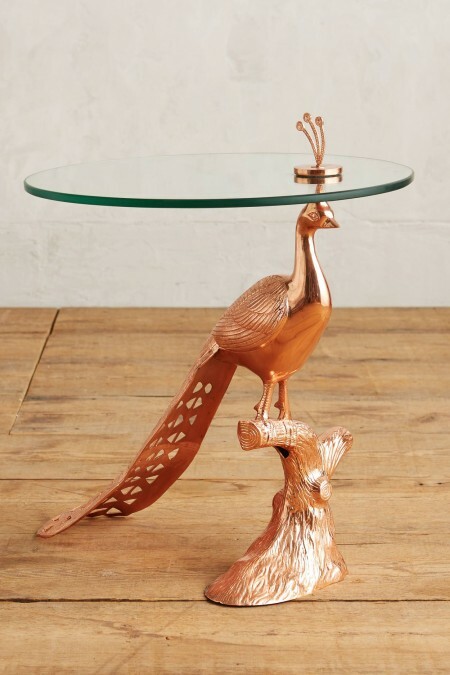 Available in antiqued brass, copper, or silver with a simple glass top, passing on such a fun addition to your home would be a travesty. Because when else will you get to hear the question: Hey, is it cool if I put my coffee on your peac- nevermind. Believe it or not, Hokku Designs’ sleek white Breean Coffee Table is only 72 pounds, yet it carries some extra weight with all the amount of style that comes along with it. It’s functional in the sense that there’s plenty of additional storage space for whatever you desire to store on its top shelf or inside its side cubby. Just be sure to throw some coasters on top of the coffee table to avoid the dreaded plague of cup rings. 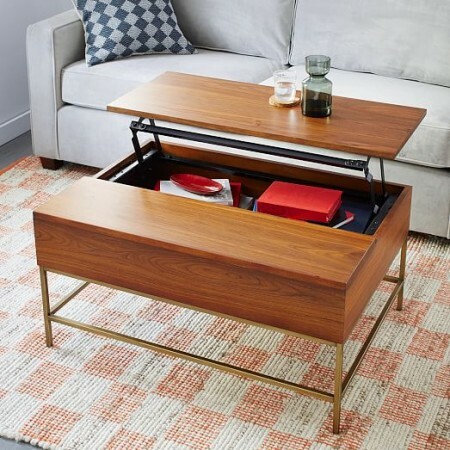 They call this Storage Coffee Table the “secret stasher” as its top lifts open like a drop top, creating a desk with a belly that stores your “secret” stash. Not only can this wooden coffee table store big items like pillows, blankets, books, and toys, but it can also add class and elegance to your home with its beautiful walnut-stained color and brass-finished steel legs. 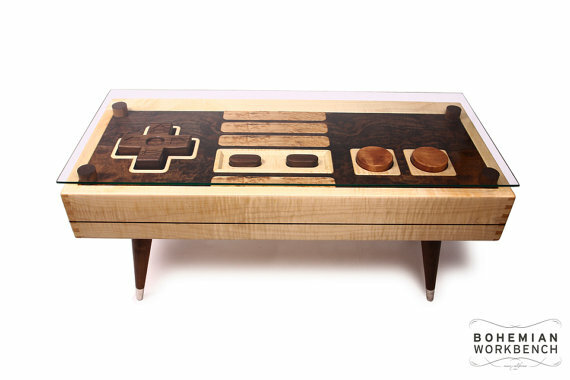 This wooden 8-bit Retro Gaming Table doesn’t just look like a giant NES controller, it is a giant NES controller. Need we say more? Ok, we’ll say more. Don’t forget to remove the glass top before pressing up, up, down, down, left, right, left, right, B, A, Select, Start. Top image via West Elm.